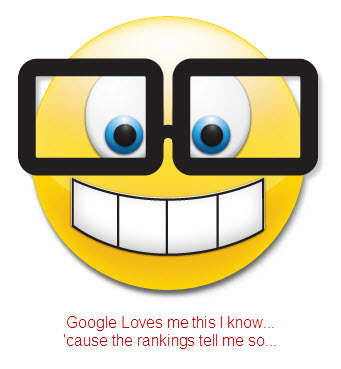 Are you getting page one search results? Remember your website visitors are more important than the robots/computers that read your content. Above all, make your content of value to the people looking to you for solutions, products or services. Place your primary key word phrase in your title. For example in this post my keyword focus is “getting page one search results“. Include your keyword phrase in the first 100 words of your main content. Posted in Search Engine Marketing, Search Engine Optimization | Tagged Design vs. Function, Getting people to your website is only the first step, Search Engine Marketing, Search Engine Optimization, sem, SEO, What is SEM? SiteBuilder Now to become Coburn Enterprises soon! After nearly 10 years of “helping small businesses compete on the world wide web” we have come to realize that our roll is much more than being a website builder or web design company. What we have discovered is that we are actually small business advisors. It is not uncommon for a client to contact us for a website and, through our initial questioning process, discover they are not really ready to launch a website. This is because the market we service – the “Truly Small Business” or “TSB” – consists mostly of individuals or a small team of people that have a great idea for a product or service but limited life experience in starting or expanding a company and launching their product. Unlike the well know “Small to Medium Business” or “SMB”, a TSB is usually a self-funded, self-managed company that is not looking for venture capital and/or large start up loans. I find it ironic that I read about “small businesses” and they are companies with 50 employees generating a few million dollars a year in revenues. Whereas, a truly small business generally has less than 10 employees (if any) and often generates just enough revenue to pay their expenses – on a good day. Yet, this sector of business is what really makes up the majority of “small businesses” in our country. Thus, at Coburn Enterprises, we have decided to promote the phrase TSB – Truly Small Business – to help this market sector gain recognition in the marketplace and gain a voice in our society. With these ideas in mind, we are relaunching our company under Coburn Enterprises. This is the name we have been using for a few years now for our EIN number, merchant services account and other critical business activities. Although we will keep the branding of SiteBuilder Now for our “do-it-yourself” product group, we feel that Coburn Enterprises is more fitting for our current services. Coburn Enterprises helps truly small businesses compete – not just on the world wide web. As small business advisors, we help companies, and individuals hoping to start or grow a company, ask themselves critical questions and make educated business decisions. We help our clients match their short and long term goals to available products and solutions – from what type of website to start with or upgrade to, to merchant service providers. We help them understand how these decisions will effect them today and in five years. We also help our clients filter through the bombardment of opportunities that come their way as soon as they register their dba or domain name. Depending on the type of business and where they are at in their development process, we can help them with marketing channels, finding vendors, public relations and content development. We help companies determine revenue channels, pricing structures and new marketing strategies. For our clients that are at that crossroads between “staying small” and “taking it to the next level” we help them look at the advantages and disadvantages of their choices and opportunities. When necessary, we also help our clients find outside consultants and resources. We help them write policies, hire employees and find the best accounting solutions for their needs. And, of course, we are experts in website marketing, search engine optimization and search engine marketing. In the coming weeks you will see some exciting announcements including an introduction to our new product set and the official launch of our new websites. CoburnEnterprises.com and BetterEverything.net (http://www.bettereverything.net) a blogging system that will be part of our web marketing solutions and SMS – Social Media Synergy concepts. Questions? Ideas? Fears? Don’t hesitate to contact us. Posted in Alerts and Notifications, Announcements | Tagged How do customers find my product or service?, Only one chance for your website to make a first impression, Search Engine Marketing, Small Business Consulting, Social Media for Truly Small Businesses, Step by Step Web Site Planning and SEO, Truly Small Business Solutions, Who are my customers? You get emails about it, you read about it on chat boards and forums, you know it’s what makes your site “successful” but what does it really mean? Search Engine Optimization is the art of taking your site’s content and making sure it mathematically reflects the value it offers to your target market. You have a website, you want your website to be seen by as many people as possible. In order for your site to be found when someone searches for what you are promoting on your website the search engines (computers) have to believe that your site has the best answers to their request. Search engines are run by computers, therefore, they make determinations on black and white statistics. They don’t care how pretty your site is, they don’t even like “high tech”. What they care about is the math – what percentage of your site matches the search criteria and how many honestly related sites link back to you? This is often referred to as “keyword relevance”. In summary, when writing content for your website think about your potential customers and how they might search for you if they didn’t know you existed. What problems do you solve and how would someone with those problems try to find you? 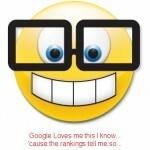 Once you know this, you are ready to optimize your site. Remember, it’s not about keyword spamming – it’s about honestly providing the information that people that come to your site are hoping to find. You can view this entire article on our website.